Ever wonder what our Charm Kitties are up to once they get adopted? Today we are starting a new series called "Where Are They Meow?" where we check in with Charm Kitties from the past and see what mischief they've gotten into. Today we start with New Moon, a fan favorite. Curious to know what he's been up to? Well he's had a little name change, among other things! Keep reading below to find out more. Since his first day at Charm Kitty Cafe, New Moon was a star. One of our favorite memories was dressing him up as taco cat for Halloween (he was curious but skeptical). Naturally, New Moon did not last for more than a couple of days at the cafe before an application was submitted for adoption. He was scooped up by one our incredible Charm Kitty employees on November 4th and is living his best life now as Louie. He also goes by Lou or Lou-Meister for those that know him well. 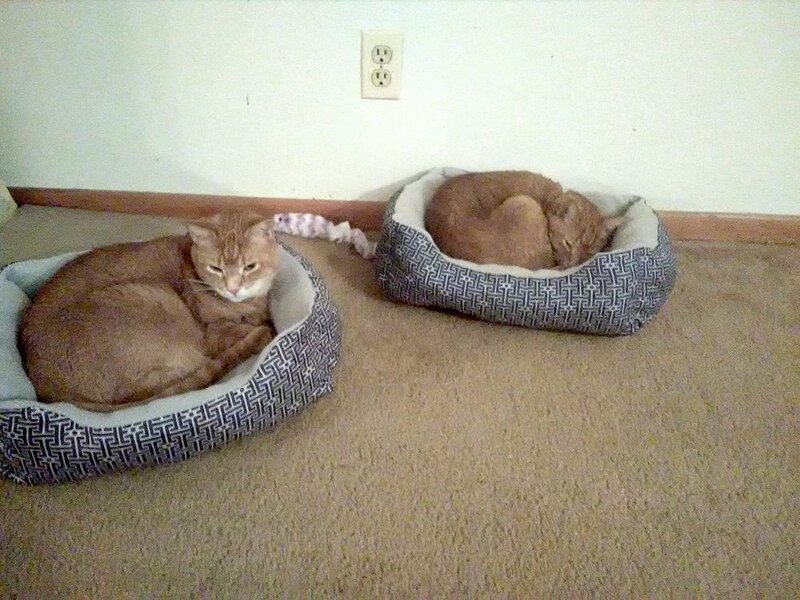 Louie is living his best life now at his furrever home with his cat sister Ana. He will always be a part of the Charm Kitty family, but now he resides in Gaithersburg and has an endless supply of cat toys. Life's good!